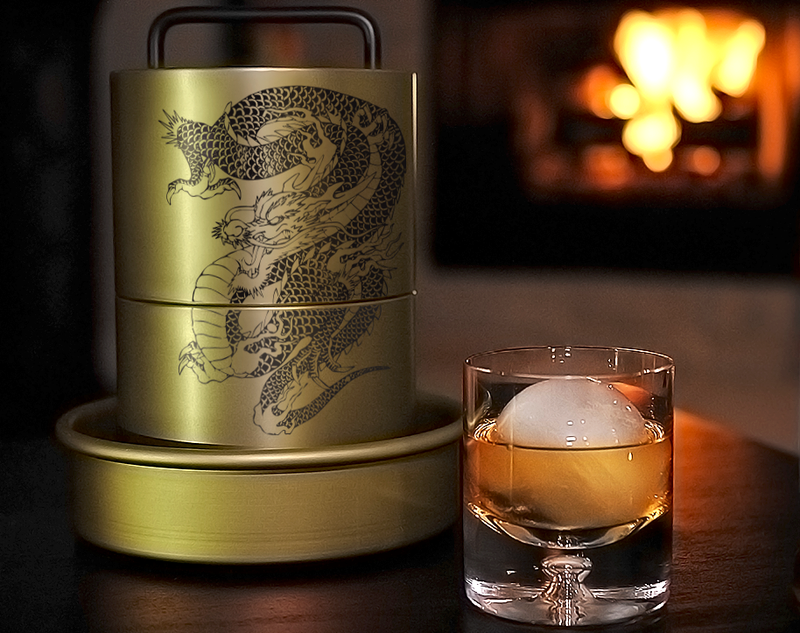 Limited Art Series: Dragon — The Whiskey Ice Co.
We are kicking off our new Limited Art Series of The Spherical Ice Ball Maker with a powerful symbol of strength, good fortune, and luck, the dragon. In particular, the artwork depicts a Japanese-style dragon, but Asian dragon symbolism shares many similarities across China, Japan, and Korea. Japanese-style ascending dragon (or "nobori-ryu"). 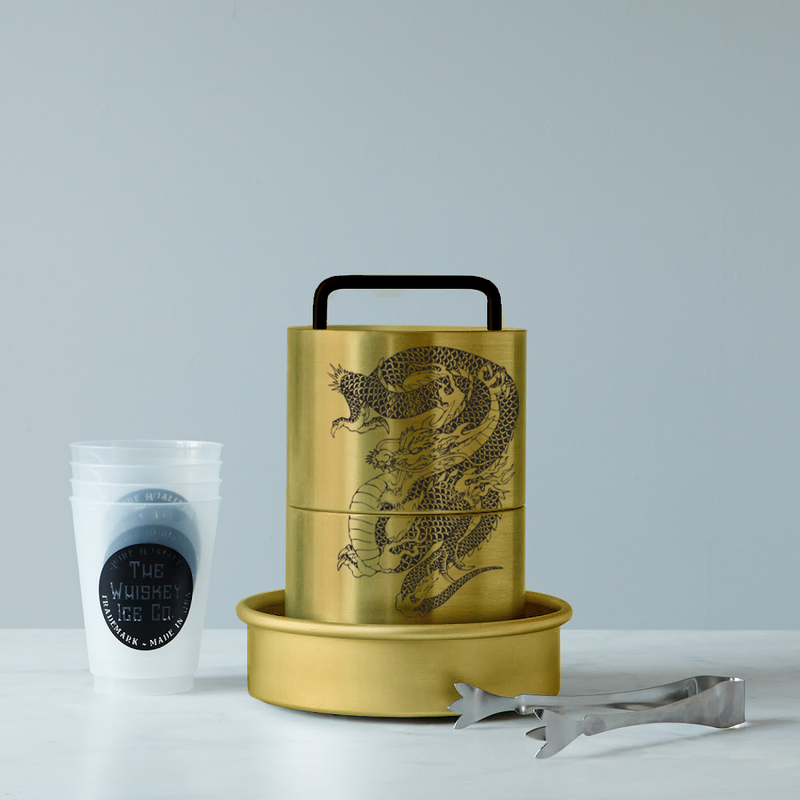 Dragons are one of the four legendary creatures in Chinese mythology. They are believed to control water and rule the sea as well as the air. The mythology of the Japanese dragon, or "Ryu," was brought to Japan from China, along with Buddhism during the mid-6th century AD. The Ryu is believed to be a protector, which is why most Japanese Zen temples have a Ryu painted on the ceiling to protect Buddhist law. Japanese dragons are traditionally three-clawed, compared to Chinese and Korean dragons, which have five and four claws/toes respectively. When used as an adornment, statue, figure, or a charm, the Ryu symbolizes many things including strength, wisdom, luck and good fortune. However, Japanese dragon symbolism, as well as all Asian dragon mythology, can be complicated and even something seemingly simple like varying colors, position/shape and/or orientation of the dragon can change its symbolic meaning. The Spherical Ice Ball Maker™ is already worthy of presentation, but our new Art Series takes the design to another level. The new Art Series is available now so don't miss the chance of owning one of the most unique ice ball makers in the world. Check out the new Art Series Spherical Ice Ball Maker™ Set to get one today.